Hello, everyone, it’s Friday, 10th of February, so I guess a happy valentine’s week to all of you. Keeping the spirits up, let’s follow our weekly tradition and get right into the tech news for this week. This week’s news covers Windows 10 getting a redesign, Pinterest launching Lens, Tesla coming to India this summer, Google and Iverevel build a new Android app, Whatsapp finally enables 2 Factor Authentication for all users, Android wear 2.0 launched on LG’s new smartwatches and Cortana gets new features. Without any more delays let’s get started. In today’s age, flat design has taken over the world (quite literally). 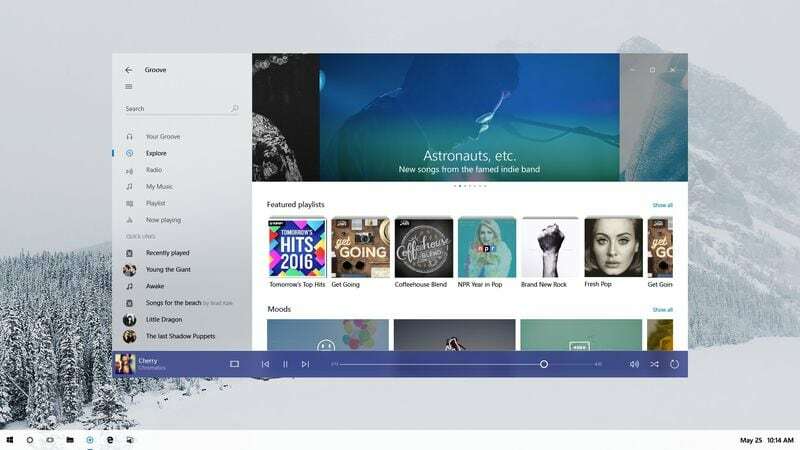 If you trace back the lines, Microsoft was the first tech company to make the bold move towards flat minimalist design language with their Metro UI on the “revolutionary” Windows 8 desktop operating system. While the entire premise of Metro UI which was unifying the experience across desktop and touch devices, flat design took the stage to revolutionize design forever. From there on, every major brand moved from 3D skeuomorphism to flat UI elements. Apple unveiled the major redesign with iOS 7 and then Google played catch up with Material Design on Android Lollipop. Today there’s not a single major tech company which hasn’t gone flat. Microsoft revolutionized design then and they’re trying to go a step further now. The screenshot above is what’s Microsoft is internally calling Project Neon. It’s visually refreshing and brings a whole new look to the OS. Microsoft hasn’t made any official announcements on Project Neon yet, but we will most likely hear more on the subject at their annual Build developer conference in the coming months. Just by the look of it, Project Neon looks something too pretty to be real. The UI elements make use of blurs and bold fonts across the system to add depth to the apps. I don’t know about you but I for sure will be waiting eagerly for Project Neon’s release. Back in the days of Android 2.3 Gingerbread, one of the most popular apps used by everyone was Google Goggles. While many considered Goggles to be a gimick, it had some of the most advanced computer vision capabilities for its time. Basically, Google Goggles allowed users to click a picture to trigger a Google search about it. It also allowed you to scan barcodes and QR codes. If you want to feel nostalgic you can head over to the Play Store to download the app, though it’s been over 2 years since the app was updated. Goggles showcased what computer vision is capable of doing. This week Pinterest tried something similar with their new app Lens. 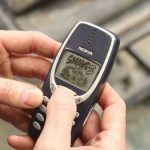 Lens is a visual search tool with computer vision to detect objects in the real world and suggest related items on Pinterest. The app is in beta as of now but works surprisingly well. You can consider it to be the Shazam for visual search. In a demo of the app, Pinterest co-founder Evan Sharp used Lens to detect a pomegranate and Pinterest returned results for pomegranate bread, tips on peeling pomegranate and many more similar results. He said that Lens lets your eyes do the searching. Lens builds upon underlying visual search technology that Pinterest introduced in November of 2015. If you are in the United States you can download the beta on iOS and Android today. Head over to this link to a more detailed coverage on Lens by The Verge. Tesla is currently the only automobile company that is working on sustainable transportation. They had immense success with the Model S and the bigger SUV, Model X. Unfortunately none of these premium vehicles made to India. Mostly because Tesla was still pretty small and becoming operational in a country like India with regular traffic problems and poor roads meant that Tesla would have to do twice the work it does while deploying its cars in other countries. Everything from the Autopilot and the Supercharger network would have to be reengineered for India. During the Model 3 launch, Elon Musk promised that Tesla would be in India eventually and they would bring the Model 3 first to the country. This week we have some development on that news. Recently Elon Musk replied to a tweet saying that Tesla will be in India this summer. The companies will have to cover a lot of grounds before it becomes successful in the country. 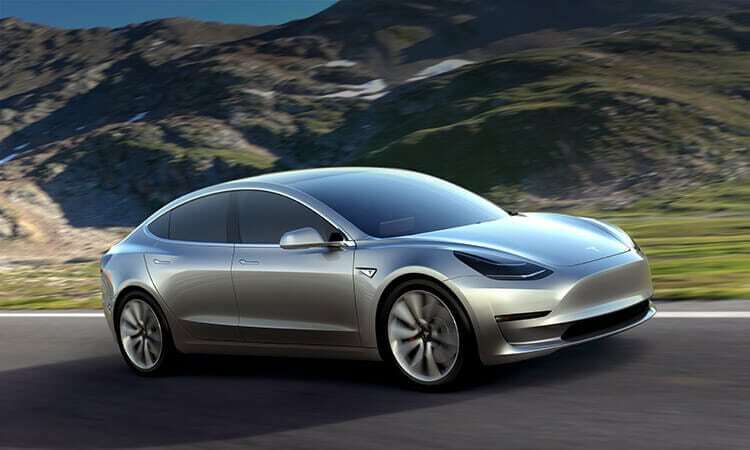 The Model 3 is the cheapest of the 3 cars that Tesla makes but even then it will sell in India for a premium price of 23 lakh rupees approximately which is in no way cheap for an Indian pocket. Every time the price of fuel goes down in the country, the car sales hike. India is going to pose the toughest challenge for Tesla ever, we’ll have to wait and see how the company handles it. In recent years, Google has partnered with a lot of brands to create some great products. In fact, most of their withgoogle.com websites showcase projects on which the Search giant has partnered with other brands. Take for example the Star Wars light saber game and the Interstellar website. These are a few examples among the many that exist. This week Google announced that it has partnered with Ivyrevel, an online-only fashion brand to build an Android app that recommends a dress that users can buy based on their location, physical activity, and weather. The dress design changes over time in response to the latest activity and is finalized after a week of user input. Google is making use of the Awareness API, more specifically the Snapshot API. Alongside the Nearby API, the app also relies on Beacons The app is currently in closed alpha and will be available to users this fall. A while back we had covered that Whatsapp is getting serious about user security and therefore was bringing 2 Factor Authentication to the popular messaging app. It was in beta for a while now and today it is being rolled out to over 1.2 Billion users of the app. The feature once activated, will prompt a user for a static 6 digit passcode everytime a new phone is registered to the account. This new system may, however, be inconvenient for users but it acts a crucial line of defense against hackers and other people with wrong intentions trying to clone your phone. Without 2 Factor Authentication, you only need a one time code to verify yourself to the service. For more details, you can read their official blog on the subject on this link. Google showcased Android Wear 2.0 during the Google I/O 2016 in the month of May and we all know that it’s been delayed. At the same time, the buzz about wearables has slowly died out. Google is definitely trying to give it a second shot with Android Wear 2.0 and this week we got the first glimpse at the new OS through the new smartwatches that LG launched, namely, the Watch Sport and Watch Style. Wear 2.0 has been designed to improve upon the things it was already good at like notifications, upcoming calendar appointments, showing the current weather etc. It features better fitness tracking features, better connectivity options with LTE and NFC built right into it. 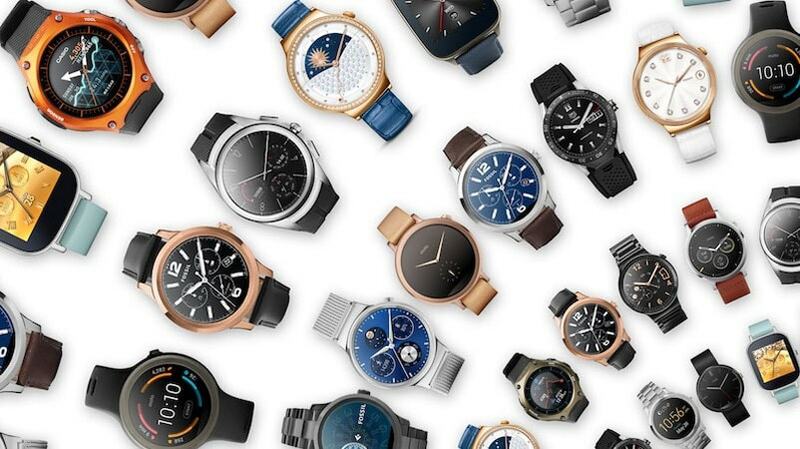 All of these additions make Android Wear more unable than it’s previous versions. It also features complications which allow you to add certain components from other apps on to your watch face. The biggest addition to Wear 2.0 would be the arrival of Android Pay on the wearables. Watches equipped with NFC will allow you to pay for stuff just by waving your watch at the payment kiosk. We all know who Cortana is by now. And with each update that we install to our Windows systems, she gets smarter. Microsoft isn’t being lazy at training the virtual assistant either. She’s getting some new tricked this week. Cortana will now allow you to set reminders to commitments you’ve already agreed to. 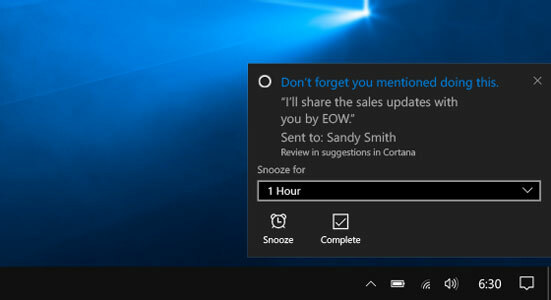 Suppose you email your boss that you’ll send her a document in the next 4 days, Cortana will now automatically issue what Microsoft’s calling a suggested reminder the day before, just in case it slips your head. This new feature will be rolled out gradually and won’t require a Windows update. Suggested Reminder is a part of Cortana’s transition from a passive assistant to a more proactive one. I saw Tesla is coming in India too.